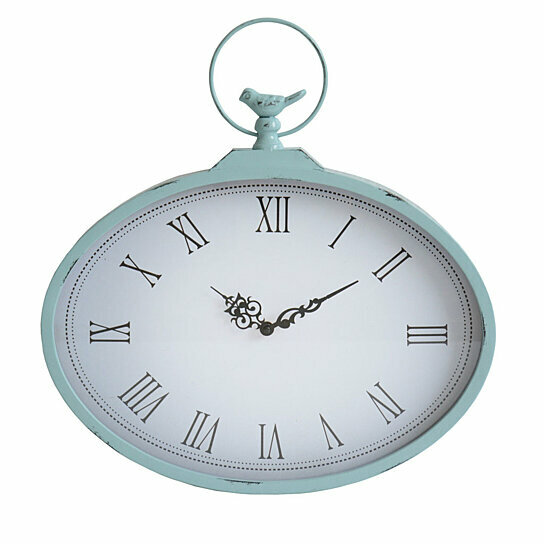 Accessorize a wall with the Stratton Home Decor Shabby Pocket Watch Wall Clock. Hang this piece on your wall for a contemporary traditional feel. Care instructions: Wipe clean with damp cloth. Material: 70% Metal, 20% MDF, 10% Paper. Color: Light Blue .